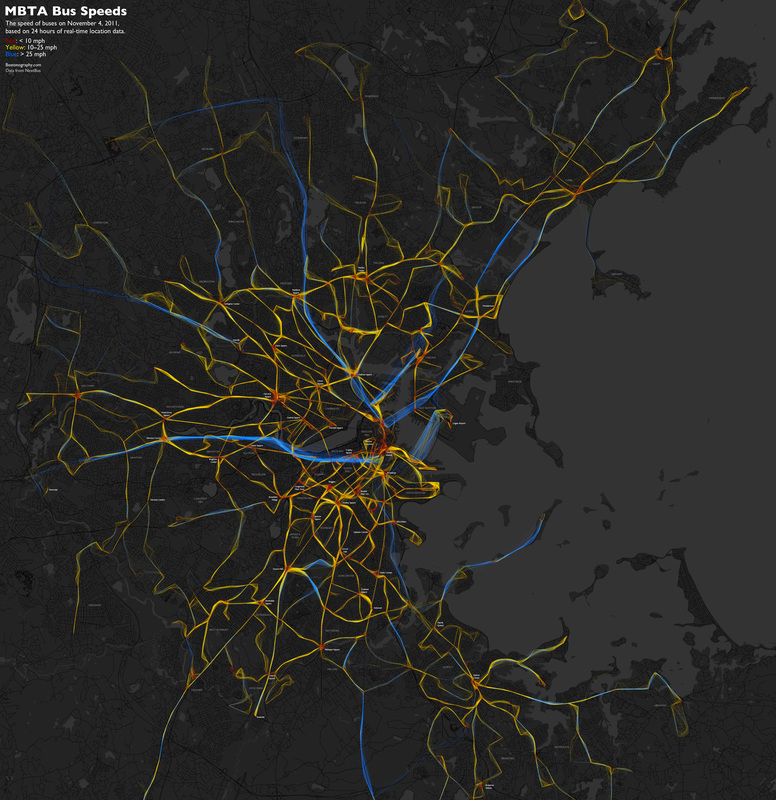 A beautiful depiction of the location/speed of MBTA buses from last Friday. 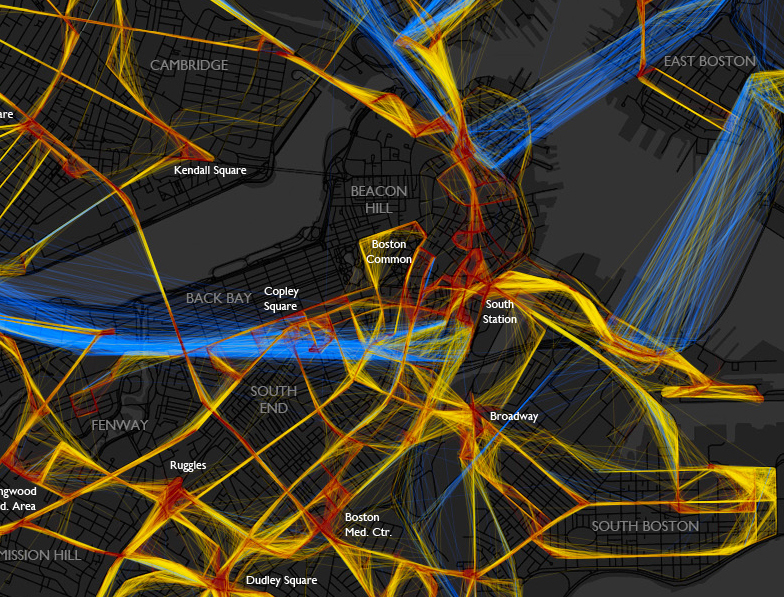 Bostonography used the NextBus data to create this map of the bus routes. The colors indicate the speed the bus is traveling: blue = >25 MPH, yellow = 10-25 MPH and red = <10 MPH. The lack of blue frightens me! 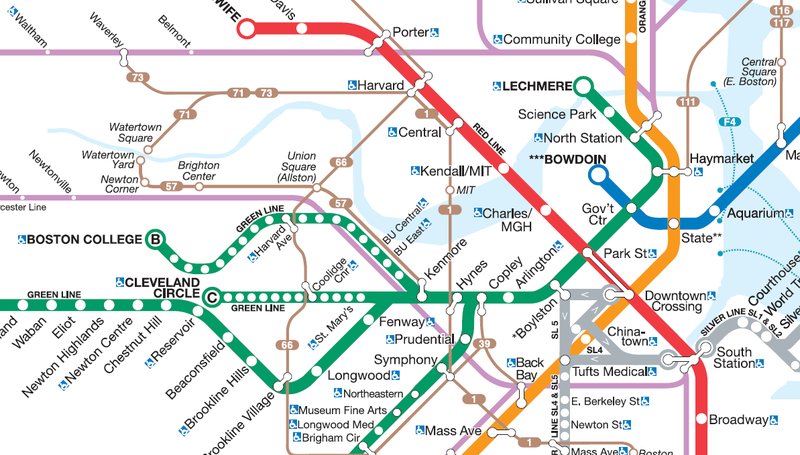 I will continue to be glad that I neither have to drive nor take a bus in downtown Boston very often. It would be interesting to include more data and create an interactive model to show patterns over days/weeks for certain times or events. 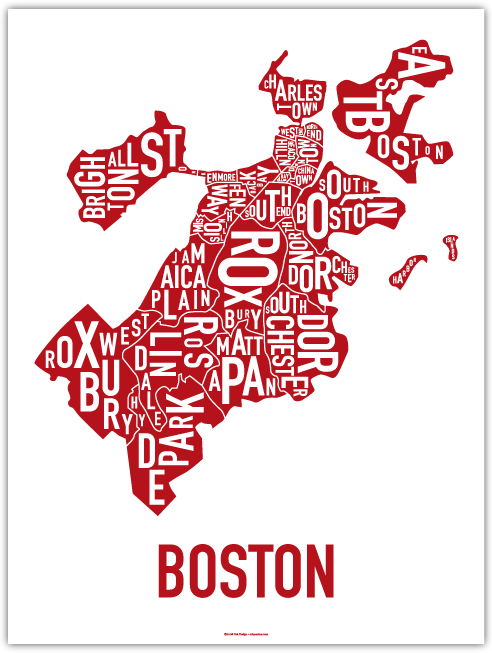 (I’m sure a Red Sox game would create a lot more red in the Fenway area!) This really makes me want to take some cartography classes! In case you didn’t know, Boston is a college town. Since I’m a visual person, I appreciated the map that Bill Rankin created of colleges inside the 128 belt. Upon further inspection, I realized that he had forgotten Bentley’s North Campus, but I think we can give him the benefit of the doubt for the other schools.